Psalms 42:1 ~ "As a deer pants for flowing streams, so pants my soul for you, O God." Many of us have experienced the dry and empty barren lands of our souls. Deadness in thought and numbness in feeling. This has been certainly my testimony. I remember the rare moments in my life when I would cry and prize it as a rare feeling and thinking moment. I cherished those moments because it reminded me Of my humanity and not some sort of cold machine. It's been over a year since God led me into repentance and entrusting my life into him. Through trusting him, I have embraced a philosophical term called 'Christian hedonism'. I have found it to be a biblically safe haven, in which healing of my mind and body has been calmly and progressively paced out, whilst it being deep and cleansing. It has awakened thoughts and emotions that have been dormant, only to now have them delight in Christ. I began slowly (but now with convictions) pursuing my joys and pleasure in Christ. If we know God as the 'real joy giver' it makes sense to pursue him who is infinite. This is not some new strange teaching. On the contrary it's one of old if not the original. I think the name Christian hedonism is used as a mere tool of distinction in avoiding THE strange new teaching. By preserving the purity of the TRUTH and GOODNESS of the gospel. It avoids I.e. Prosperity gospel, New Apostolic age, word of faith, universalism etc. 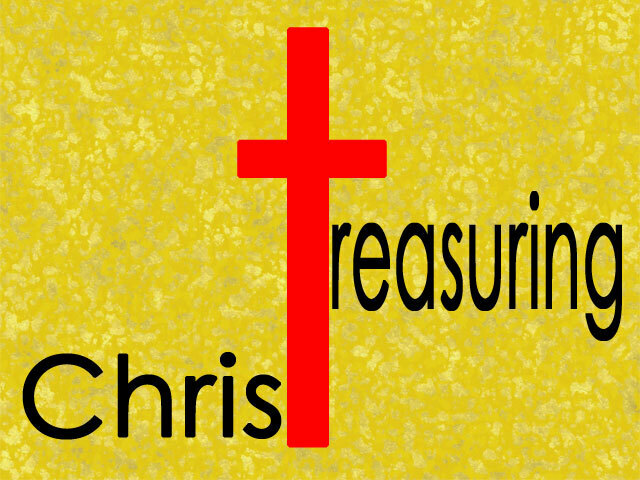 The fruit of this biblical philosophy is treasuring Christ as more valuable than anything else, to the end. I now love delighting in him, thinking about him, living for him, learning and obeying his revealed word, and joyfully waiting for the day to be with him for ever in heaven. Amen! This may sound so common! I think there have been millions of 'Christian Hedonists' in our history. Distinctly I.e. Jonathan Edwards, Charles Spurgeon, C.S.Lewis, Martin. Loyd. Jones. Alive today, John Piper, R.T. Kendall, David Pawson, John Macarthur etc. So why am I risking to say this? Because, 'Loving your neighbour' does not come from a '100% selfless act.' It comes by lovingly longing to have your neighbour share in the same joy and satisfaction you have in Christ! Thereby intensifying the delight in God. I.e. "Isn't he amazing?" "Yes he is brother let's worship and enjoy him together more." I want many to know their life, joy and pleasures in God. Why? Because he is the only one who truly can bring satisfaction! God is not glorified by stoney hearted, dutiful forms of worship. It's by hearts that are satisfied in him only. Its a miracle When some one says "I didn't deserve such a priceless free gift. Jesus offered me living water. I trusted and accepted. He was right! I am alive! There is nothing more precious than Christ! I will follow and camp by him for the rest of my life" So in closing, Christian hedonism is NOT the way the truth and life My inspiration comes from the idea that hasn't been found as an unbiblical principle, God is most glorified in us when we are most satisfied him. If Christians are concerned with Gods glory, how might one proceed? Is God glorified by dry lips and dutiful stoney hearts? Or by those who put all their hopes and joys in him?... The ones who trusted and are now satisfied In him, can daily live in sweet honesty and heart felt delight in God. Trust him, he will not disappoint. "We praise because we delight."